Organic foods have seen a big boom in popularity over the last decade. As consumers have become aware of the many advantages to organic food, the market has seen a steady increase in the amount of organically grown foods that people buy. Money talks, and now even large food corporations have heard the cry for healthy, organically grown food. Choosing organic produce and other products that contain organic ingredients has a significant cumulative impact. When you choose organic, you are voting with your dollars to support farmers who treat the land with respect and care. Are organic foods healthier for you? Many studies have been conducted to determine whether organic foods are more nutritious than conventional foods. 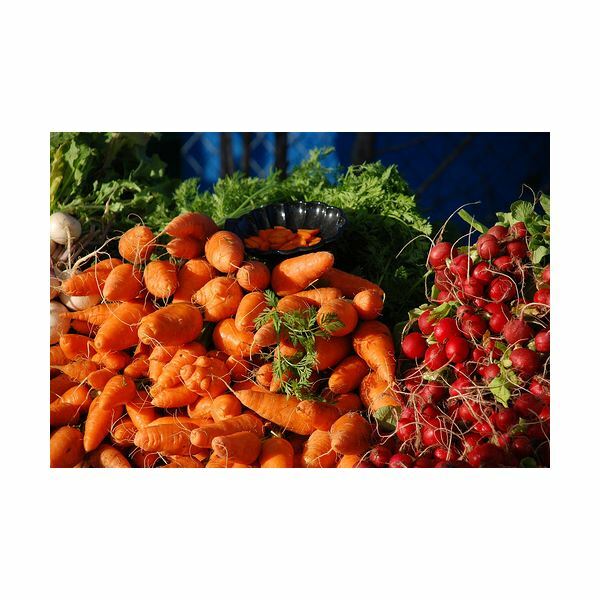 The studies have come with mixed results, some reporting increased nutrition in organic fruits, vegetables, and milk and others concluding that organic and conventional foods are nutritionally very similar. Consequently, the jury is still out on whether organic foods offer a nutritional benefit over conventional foods. One undisputed health benefit of eating organic foods is that you avoid ingesting trace amounts of the toxic chemicals that are routinely used to grow conventional produce. An often-cited investigation by the Environmental Working Group (EWG) found that even after a typical washing routine, trace amounts of pesticides were found on many common conventionally grown fruits and vegetables. The EWG’s Dirty Dozen list names the top 12 offenders. The earth reaps huge rewards when you choose to support organic farms over conventional farms. Modern conventional agriculture relies heavily upon synthetic chemicals to obtain the maximum amount of food per acre. Fertilizers, pesticides, herbicides, fungicides, and more are used throughout the growing season to increase yield and minimize crop damage. Many of the problems that large conventional farms face, such as insect infestation, can be solved simply by changing the farming model. Instead of planting hundreds of acres in the same crop – which practically invites pests to move in – diversification of crops can cut back on pesticide use. Rather than intensely farming the same plot over and over with the aid of synthetic fertilizers, farmers can plant cover crops and rotate their fields to naturally nourish the soil. Organic farmers must follow rigorous standards to obtain organic certification through the US Department of Agriculture (USDA). These standards serve to help farmers tread lightly on the land while producing their crops. Certified organic farmers must use cover crops, animal manures, and other natural measures to protect soil biodiversity and increase fertility. They are encouraged to conserve water, reduce soil erosion, and use renewable resources. No hormones or antibiotics may be used to raise organic meat, eggs, or dairy products. The measures that organic farmers go through to raise their crops in an environmentally sound manner help keep thousands of tons of chemicals from entering our environment and water system. Respecting and working with, rather than against, the cycles of nature help organic farmers protect the environment for years to come.